We understand. You staggered out of Amnesia after a non-stop week in Ibiza last September and swore "never again". Taking a sabbatical from Ibiza doesn't mean you can't enjoy a Balearics break though. Why not chill out on nearby Formentera: Ibiza's sister island? Formentera offers all of the beauty and none of the decibels. It's an island that makes a virtue of its undeveloped status. It's all about the sand. Be aware that many of the beaches are clothes-optional, and German visitors in particular think naked is best. 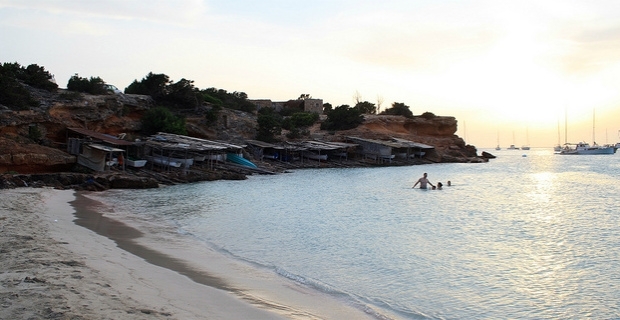 Cala Saona is another of the favourite beaches, with a long expanse of sand near a pretty village harbour. It's a great place to relax with an enjoyably bad book before strolling up the cliff path to take in the views. The beach cafe offers light lunches and snacks at modest prices. Reaching Formentera is just a matter of grabbing a cheap flight to Ibiza with Easyjet or another budget airline. Booking well in advance can usually mean finding fares for under £100 return. On arrival, resist all the temptations to his the Ibiza dancefloors, and concentrate on making it to the ferry port. Regular ferries from Ibiza Town to Formentera take just half an hour. Timetables and fares are available from ibiza-spotlight.com/pitiusa/. Expect to pay around 20 euros for a single fare, or 30 euros if you want to be flash and arrive by speedboat.